Seeing their baby grow up is the dream of every parent and there are no two opinions about it. So we make sure they get every possible help during their formative age. One such step which can be termed a milestone in the small little life of a baby is the day when he learns how to walk. This is a day of pride not only for the kid but also for the parents. But you need to help them to get to this stage which will take a lot of work. Therefore, we take this upon ourselves to provide you with different ways to help the baby learn to walk. There is nothing more important than getting the basics right especially when you are teaching babies how to walk. 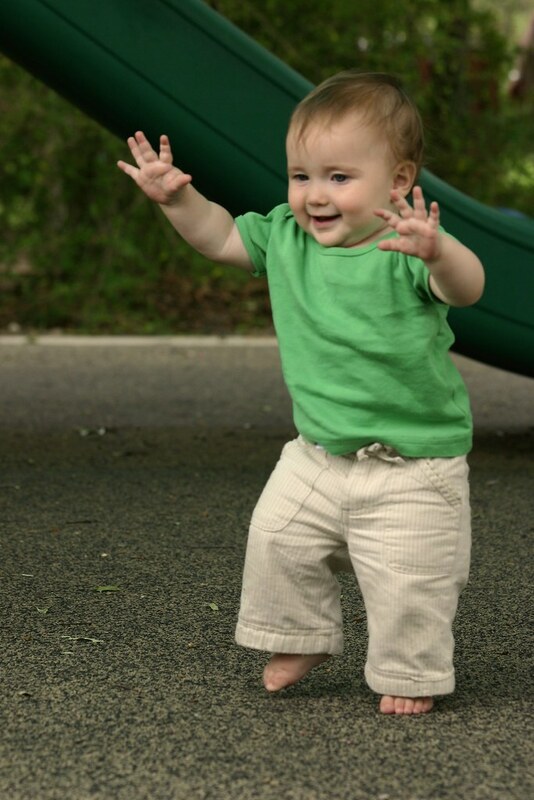 You will notice that babies start to take initiatives to walk from an early age which is a definite positive sign. The first signs of their adorable enthusiasm could be noticed when they try hard to sit up straight all by themselves. First of all, it means that your baby is slowly and steadily getting her mobility which she lacked initially. Moreover, it is the stepping stone for any baby in their long journey of taking the first walk. It is said that in order to help her muscles get stronger, you can play games where they need to roll back and forth. Another positive sign which you will see in any kid with regards to walking is crawling. This is an extremely important stage in the life of the little angel as it is here that they first learn how to work their motor nerves properly. Therefore, you get to see them moving their legs and hands at the same time which is not only cute but is a very encouraging sign as it suggests that they are getting ready to take the big leap. It will be best if you can make him crawl from one side of the room to the other to help him practice better. Curiosity is another word for babies and this is something which will become very clear to you as soon as their muscles become strong. The reason being that by 8 months, they will try to pull themselves up with the help of anything that they could get their hands on, starting from their parents to furniture, etc. This is the time you will have the opportunity to work on their stance and balance. Here you will have the responsibility to teach him how he should bend and slowly get back on the floor. The reason you need to teach him to do so is to make him accustomed with the falls which he is sure to experience as soon as he starts to walk all by himself. Ideally around the age of 9 months, you can be sure that his muscles are strong enough to support him. This will be amply clear by how well he is getting to pull himself up and gain the balance he needs. It will be desirable if he can take small steps, albeit with help, which will definitely boost up his confidence and will make him try it harder. The only thing you can do now is make him practice as much as you can because this will help him get used to this whole routine. It goes without saying that if he feels comfortable standing on his feet then it won’t be long before he takes his very first steps. The crucial phase which comes after this is that of cruising where the kids tend to walk with the help of walls or other stationary objects. The thing that you need to do here is to coax him into taking a few steps without any support. This will instil the much needed confidence. As he is slowly walking by himself, you should see how long he can stand in the upright position. Make sure to praise him without fail, every time he walks by himself and try to make it into a balancing game, after all kids’ loves to play games. Taking the first steps is not a matter of joke; so cheer him up when you see him take his first step; this is definitely going to bring a big smile on his face, a truly priceless moment in all of your lives. There may be some falls here and there at the beginning; but in no time he will start to gain his balance and walk at will. To make sure he succeeds, encourage him and cheer him at every chance you get. Some of the little ones tend to crawl rather than walk; don’t get impatient here as they are taking a little more time to build their confidence to become regular walkers.